October 10, 2017 – Steve and Brooke Giannetti, Architect and Interior Designer	-- "Stories and Dreams: Designing a Personal Home"
November 14, 2017 -- Susanna Salk, Designer and Stylist -– "Decorate Fearlessly with Susanna Salk"
February 13, 2018 -- Bobby McAlpine, Architect -- "Poetry of Place"
March 13, 2018 -- Ben Page, Landscape Architect -– "Tradition in Transition – Profiles in Design"
April 10, 2018 -- Brian Coleman, Author -- "Porthault: The Art of Luxury Linens"
Through this series their members expand their knowledge of the decorative arts. 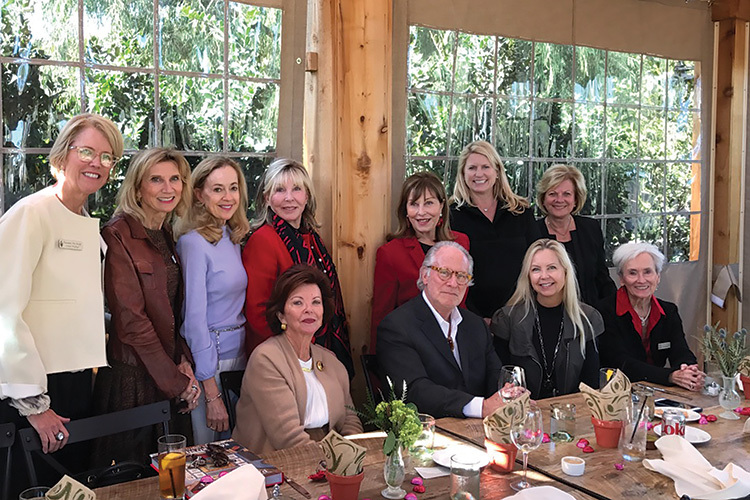 Their subscriptions and donations to the Decorative Arts Society provide funds for projects and programs which benefit women and children in Orange County. For more information please visit www.decorativeartssociety.net.